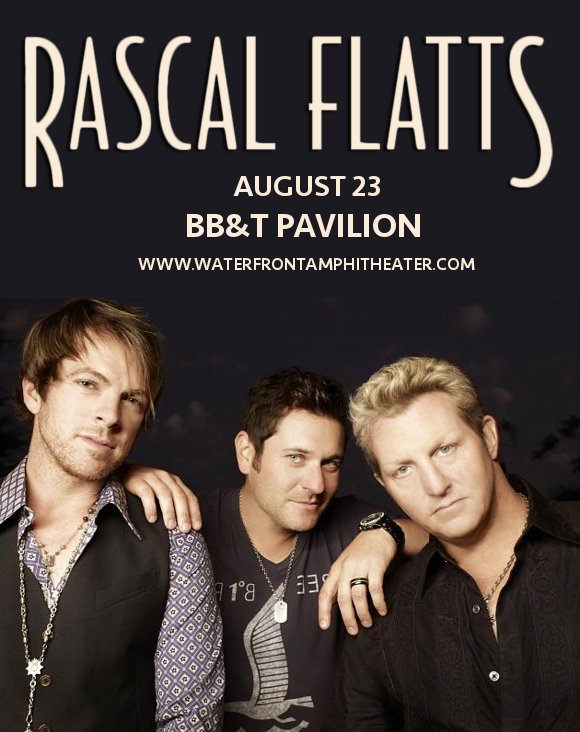 Country fans, are you hyped for RASCAL FLATTS?? That’s right, the best-loved 3-piece in the genre are hitting the road once again in 2019!! With special support acts yet to be announced, they’re coming to the BB&T Pavilion on Friday 23rd August 2019 for one very special evening of exceptional live music. Don’t miss out – get your tickets to see them today!! Formed in 199 by singer Gary LeVox, bassist DeMarcus and banjo/guitar player Joe Don Rooney, Rascal Flatts broke into the mainstream country world with their self-titled album of 2000, and with subsequent releases, became known to the mainstream music world at large. To date, the band have released a total of seven albums. We know what’s ahead of them – an audience with you in it?? Are you ready? Make sure you get those tickets quick, before they go!